LISBON, Portugal – In the worst economic scenario ever, the Portuguese industry has found a way to contradict the present trend and the contraction in consumer spending. Exportation is still the key word for the player’s survival. Last year, we said that Portugal was facing one if the worst economic periods ever. This year, as everyone across Europe knows, the situation is even worse. The consumption of imported bike has dropped considerably. Consumers invest only in repair and spare parts instead of complete bike upgrades. Small retailers across the country are struggling to keep their doors open, while big ones are trying all sorts of campaigns and discounts to keep the product flowing, sacrificing business margins in some cases. On the other hand fuel and transportation costs, along with new and better infrastructures (cycle ways) have contributed to an increase in e-bikes and city bikes sales. E-bike are however, still seen as a luxury and expensive “toy” as opposed to a viable alternative to cars. On the other side, driven by the cosmopolitan Lisbon style and trends, fixed gear and single speed bikes (new, custom build and/or restored) are gaining popularity. However, since many are restoration projects and second hand, they don’t contribute significantly to the figures. RTE is the major player and responsible for biggest share of the overall production statistics in Portugal. In the past they peaked production at the 1 million mark but decreased to 600,000 last year. They produce exclusively for Decathlon, but now the story is a bit different. This year they are only responsible for 85% of the total 700,000 bicycles Decathlon is ordering from Portugal. The remaining bikes are being produced by A.J. Maias, who have their own assembly and paint lines. Another brand that has grown in sales is Berg Cycles. They are focused on low/medium price bikes with an excellent price/product ratio. That is one of the reasons why they have sold more bikes than last year (the crisis is leading consumers towards more intelligent – less emotional – buying). Berg Cycles is Sport Zone’s own brand. This national retail chain, owned by the giant company Sonae, is now present in Spain also and increased its production from 10,000 to 15,000 units. This increase is also explained by the growth in consumers who choose bikes based largely on price, to satisfy their new hobby or transportation need. Two national companies produce those 15,000 units. One is Esmaltina, an old and important player. In 2011 Esmaltina’s production reaches 110,000 units, of which 10,000 are Berg Cycles, 20,000 are for Continente, a supermarket chain that also belongs to Sonae group, while the remaining going mainly to Spain, but also to France (approximately 30%). The last 5,000 units built for Berg Cycles are bought by Incycles. This company belongs to Aguesport, an old player that has its own brand (Otte). Incycles also produces another 20,000 units with their own brand, although 80% is for export. Another important company, one of the first to commit to bike production in Portugal, is Órbita, who was responsible for a big part of Velib bikes for Paris’ bike-sharing programme. They have now reached 20,000 units, exporting 90% to Morocco, Spain, France and England. Starciclo, whose entire production is exported to Spain, is aiming to reach 30,000 units. Other relevant producers are Motokit, with their brand Quer, who will output approximately 20,000 bikes. The production will be equally divided between the Portuguese and Spanish markets. Spanish companies in Portugal found good conditions to produce their known brands. Orbea’s Portuguese factory produced 90,000 bikes, with 2,000 destined for sale in-country and the rest headed for Spain before reaching their final destination. The same happens with BH Bikes. 85,000 bikes were produced for this Spanish giant. 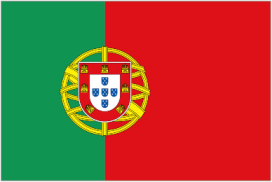 3,000 stay in Portugal. The rest are distributed throughout Europe. The third Spanish manufacturer in Portugal is Interbike, with their brand Coluer. 10% of the production stays on the country and the remaining 27,000 units go to the headquarters, in Spain. Avantisbike started in 2001 as abike assembler. Six years later they created a painting line to satisfy some costumers. And with the higher demand in quality, in 2011 they acquired a new paint line, capable of the three processes: base, paint and lacquer. Together with water decal application, they are among the leading European companies for this work. Maximum daily capacity for painting is 700 frames, with dust, liquid, and electrostatic paint offering 12,000 different colour options applied over steel, carbon, or aluminium. In September they launched their brand, Weed, with MTB, road, city, and kid’s bikes, using aluminium and carbon. They are currently delivering 350 bikes per day but have the capacity for 420 units. For 2012 they are planning to producer 60,000 private label bikes and 12,000 Weed branded bikes, of which 98% are for export. Presently they are working with Spain, Ireland, France, Switzerland, England, Holland, Angola, and Germany. Movefree was started as a motorcycle shop northeast of Lisbon but later converted its business to bikes, in part because this region has a strong culture involving bikes. With increasing success, they recently opened two big bike shops at two shopping malls near Lisbon. Together with another Specialized Bikes representative, these three big shops represent Specialized Portugal’s will to broaden their range of costumers, taking aim at the big retailers. Movefree has just purchased two existing shops, which used to be a front for Scott’s Portuguese distributor to sell directly to the customer. The two Outside shops will continue to sell Scott bikes and accessories but will also stock Specialized, with whom Movefree has a long and important relationship. As for the current Movefree shops, they will do the opposite: continue to have a big focus on Specialized bikes, but also introducing Scott on their space. The purpose, according to Movefree’s owner, is to provide more variety of choice to end consumers.